Salerno to Pompeii and Paestum Shore Excursion Will Allow you to Scan Amusing Historical Excavations while Travelling in Chauffeured Mercedes Limousines. Italy is known for its exotic destinations which are famous all over the world. Southern Italy is home to a number of historical sites that are connected to the Roman Era. Salerno is a culturally-rich destination which is located close to the sea. Many tourists access exciting road trips from this place to explore nearby towns & cities. Benvenuto chauffeur service offers Salerno to Pompeii and Paestum Shore Excursion that would be managed in gorgeous Mercedes limousines. Our talented chauffeurs will make sure that you travel in supreme comfort. This is an exclusive opportunity which is very popular among local and foreign tourists. The duration of this trip is nine hours that would help you visit interesting excavations. It is suggested that the travelers must initiate the trip in the morning hours so as to reach all the major highlights without any delay. 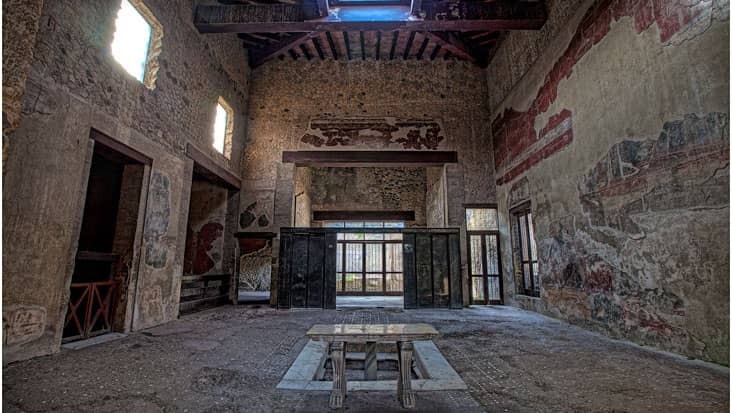 Pompeii is renowned worldwide for its ancient ruins that are preserved in a wonderful manner. This town was ruled by the Romans but was destroyed in 79 AD. The Temple of Isis, Suburban Baths and the Amphitheater of Pompeii are tagged as the well-known excavations of this area. The next destination is Paestum which is archaeologically quite marvelous. White marble Greek temples of this region are valued by tourists who visit south Italy. There are Greek art and artifacts as well that should be scanned during this ride. Our service makes sure that the customer’s needs are fulfilled without any discomfort. Our chauffeurs can speak in English which is a prime service trait that makes Benvenuto so popular. The journey during Salerno to Paestum and Pompeii Shore Excursion can be covered in supreme sedans and minivans. We also possess minibuses that are perfect for handling a large group of travelers. Mercedes E-Class, S-Class and V-Class vehicles are armed with GPS systems and other essential facilities. Entrance tickets and dining bills are not part of the main tour package cost. Moreover, if you hire a guide then the employment cost needs to be paid separately. On the other hand, fuel, parking and highway tolls are inclusive values.